Earn up to 36,760 reward points. Awesome tube overdrive tone with plenty of versatility. 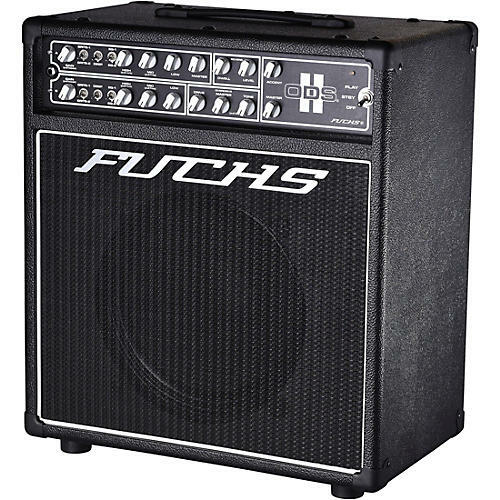 The Fuchs ODS-II 50W 1x12 tube combo captures all the tones that made the original Fuchs ODS amps legendary, but allows massive tonal flexibility via totally separate clean and overdrive channels, each with their own dedicated tone controls, mid and gain boosts and master volumes. Despite this tremendous range, the ODS-II is still an easy to operate amp. Channel one gives tones from California style cleans to Classic rock grind. Channel two covers all that channel one offers but with over-the-top near-shred levels of gain as well. The ODS-II is built on a fan cooled, aircraft grade aluminum chassis which includes half power and hi/low/off fan switches. Available in all global voltages.